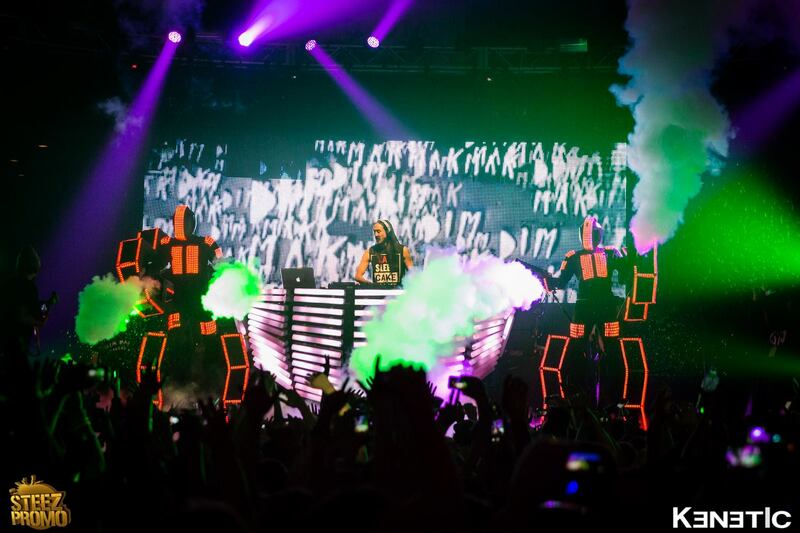 Grammy nominated electro house producer and founder of Dim Mak Records, Steve Aoki hits The Madison Square Garden this summer on August 16th with his neon future show. Headlining an event at The Madison Square Garden is not the easiest thing to do, but we all can tell now that Aoki is one of those who can pull this off and actually sell out a show like this. With electronic music booming and making its way to the top of the music industry (if it isn’t there yet) Aoki is set out to make a statement that electronic music is here, and is here to stay.